"Raise our bottom line, please"
Build 2014, Microsoft's developer forum, started with a bang as Joe Belfiore, Microsoft corporate vice president of the Operating Systems Group, announced updates for both Windows 8 and Windows Phone 8. One might suggest that Windows 8.1 Update 1 was introduced solely to cater for the one big challenge that could discourage businesses and enterprises from moving away from Windows XP. That is the poor user experience when using a mouse and a keyboard, still the preferred input peripherals in the overwhelming number of organisations. It's therefore not a surprise that Windows 8.1 Update marks the return of the desktop. Users will now be able to boot directly to the desktop rather than the tiled Start screen. Users will also be able to pin Windows Store apps directly to the taskbar and a refreshed version of the Start menu is also expected to be rolled in in a subsequent, yet-to-be-announced update. Microsoft also mentioned an Enterprise Mode Internet Explorer (EMIE), featuring an extended Mobile Device Management feature set, easier deployment (including enabling Enterprise Sideloading for any domain-joined Windows Pro PC or tablet) and better hardware support - especially for low-specced devices. A Windows Springboard series blog entry entitled Windows 8.1 Update: The IT Pro perspective, provides with more details when it comes to rolling Windows 8.1 Update to a wide range of existing platforms. Note that the size of this update ranges from 300MB to 700MB and will be available for Windows RT (ARM) as well as the Windows 8 (x86 and x64). The other big announcement of the night was Windows Phone 8.1, which as expected, complements nicely what Windows 8.1 is offering. Both are likely to be pitched together to companies as a seamless, natively integrated ecosystem. Devices using Windows Phone 8.1 can also be used as a second (or third) display. Handy given that some of them like the Nokia Lumia 1520 are big enough to be used as, say a notification or a Skype screen. A blog post by Microsoft's Erwin Vissser mentions other enterprise-grade capabilities like a built-in MDM client, improved security, S/MIME for Secure Encrypted Email, Assigned Access, enhanced App management, Certificate Management, Enterprise VPN and Wi-Fi. As a standalone product though, Windows Phone 8.1 doesn't bring much to the table. 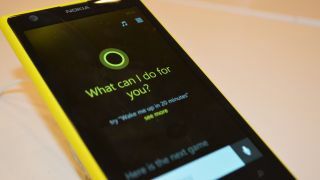 Microsoft has improved integration between Windows on both phones and PC. Little things like theme colour or apps downloaded will sync across Windows 8.1 and Windows Phone 8.1. The big announcement though is for developers, who will now be able to code apps that run across all Microsoft platforms (PC, tablets and smartphones) regardless of whether they are x86 or ARM-based thanks to the new Visual Studio 2013 Update 2 RC development suite. The plan, as Kevin Gallo of Microsoft puts it succinctly, is to get Windows applications to run on anything from the Xbox One to "Internet of Things" devices using a common runtime, which will expand the reach of developers to desktop users.